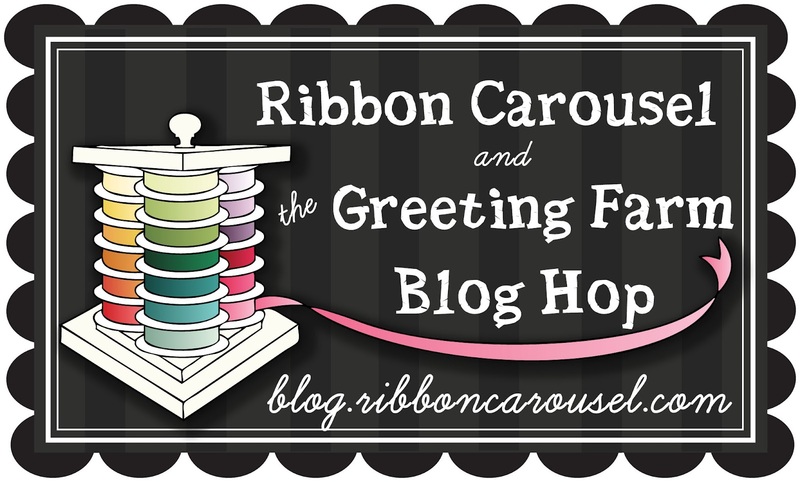 The Ribbon Carousel Crew is happy to be teaming up the the designers from The Greeting Farm today for blog hop that is sure to impress! "The Ribbon Carousel.com crew LOVES ribbon! The only problem has been storage, until now! More than three years, 4 design changes, 4 raw material changes and 5 manufacturers later.....Ribbon Carousel presents to you, the ultimate in ribbon storage systems! It's called the Ribbon Carousel© because it looks like a carousel AND it spins around like a carousel! This brand New carousel is patent pending!" Here is the card that I created for the hop featuring the Sitting Cute rubber stamp set from The Greeting Farm as well as some fabulous 1/8" Navy / White Solid Stitched Center Ribbon from Ribbon Carousel. One lucky blog hopper will win a ribbon carousel and one will win a choice of two 4x6 stamp set in either the clear or rubber line from The Greeting Farm! 1. Head on over to the RCC Facebook page,look for the post about this blog hop and say hello there! Be sure to "like" them if you haven't already! 2.Head on over to The Greeting Farm's Facebook pageand say hello there, too! Be sure to "like" us, too! 3. Come back to the RIBBON CAROUSEL Facebook page and tell us you've done it! Emily, adorable, as always! Thanks for sharing your talent with us! Awesome card. I love the way you colored your image, very different. TFS. So creative of you!!! So adorable! This is wonderful! Love the subtle coloring and doily! Cute card! I'm still getting used to this new coloring technique some people are using and haven't decided if I want to try it since I'm such a color fanatic. I rather like it; just don't know if it's "me". Thanks for sharing. AWE what a Sweet card!!! great use of the navy and white ribbon it too!! Great coloring job on your image and I love the ribbon you added!!! What a sweet card! Loe the coloring! Nice card! I love the ink splotches, it adds a nice touch! Congrats on the move. I love your style! Super cute Emily, I always admire your style! 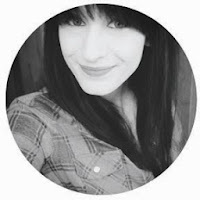 Good luck and congrats with the new blog! 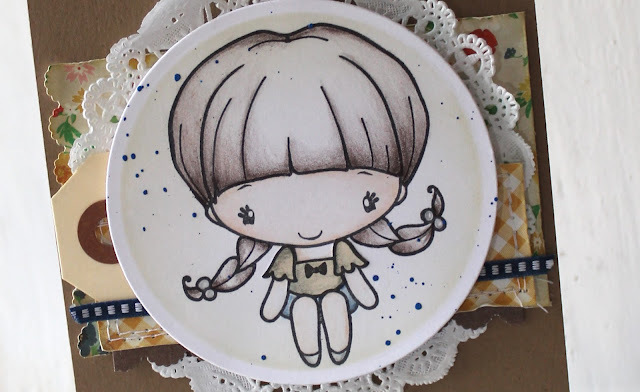 Very cute--I like your coloring, the doily and the ribbon. So sweet! Love the paint effect! Beautiful card, love the distressed edges and paint splatters!! Cute card, thank you for sharing. nice ribbon and the doily combo is sweet. the paper distressing is awesome.